Flowering Season: Summer. 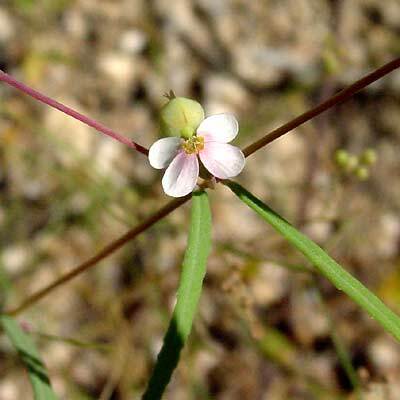 This wildflower blooms after the summer monsoon rains have begun. 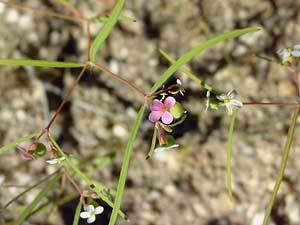 Description: The small flowers have a green, pea-shaped ovary and 4, rounded, petal-like lobes that open white and then age to pink. There is usually a mix of both flower colors on one plant. 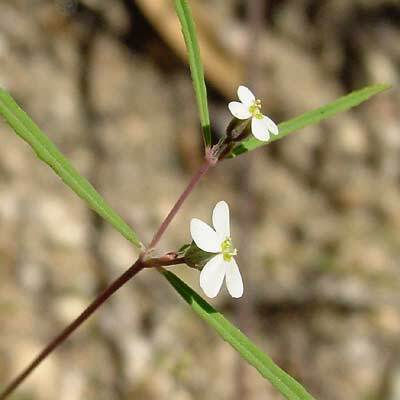 The leaves are green, linear, opposite, minutely toothed, and widely spaced along the slender, reddish stems.